Project Development: How to Submit your Google Site to Bing. 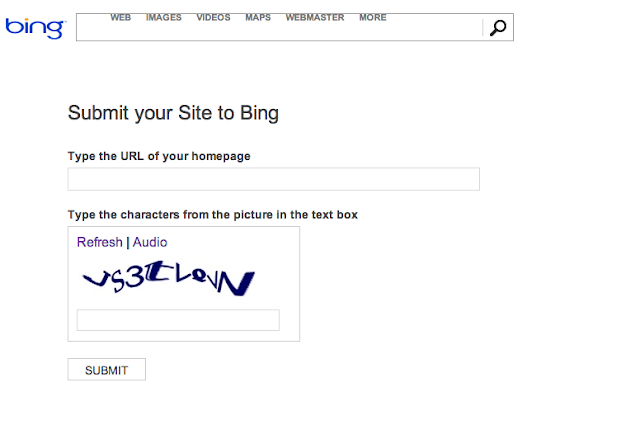 How to Submit your Google Site to Bing. Initially I think it would be easy, since if you need to add some websites to these big search engins like Google and Bing, all you need to do is creating an account on their "webmaster tools" (Google, Bing), and then copy the meta tag which generated by these services and paste it on your website default landing page's header, all the other jobs are left to these big engins, they will do their crawl and have a copy of your website on their server. However, since I tried to submit her non-profit purposed website on bing webmaster tools, it's not that easy as I imagined. Fill out with your website address and the characters on that picture for security purpose. It asks you to provide the sitemap, which is pretty helpful for the crawler, but you don't really need to provide it now, you can just click ADD Button. For Google Sites, you have to use this option until you have your own doman. Notice: Upload the BingSiteAuth.xml you downloaded from the page at the top level. 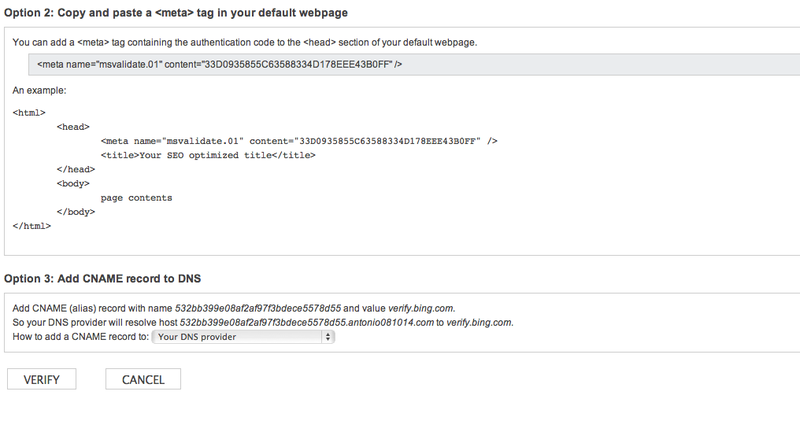 For Option 2, it's the general way to make your website verified. If you have a blogger or some other similar website, you can just use this option. 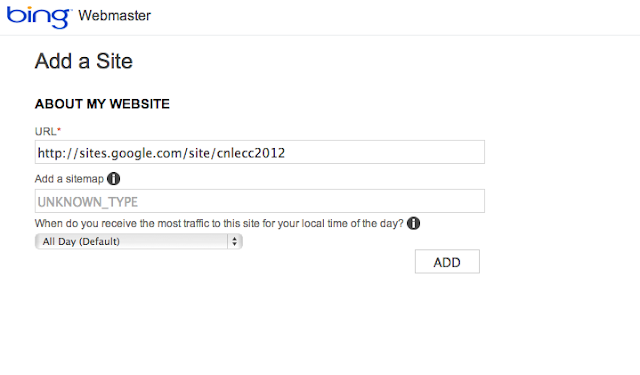 Right now, Google Sites would not allow you to add any meta tags on your site, so you can not use this option on your Google Sites. For Option 3, If you have your own doman, you need to use option 3.